Science historians date the beginning of Istanbul University to the madrasah which was established by Fatih Sultan Mehmet in the second half of the 15th century. 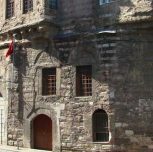 The collection of the Central Library of Istanbul University contains manuscripts from the 15th century in both Turkish and foreign languages. In the first quarter of the 20th century, it continued to enrich its manuscripts written in the old Ottoman alphabet with the ones written in the new Turkish alphabet after alphabet revolution in 1928. Once included within the scope of the Printed Texts and Picture Collection Law (1934), it began gathering all the printed works published within the borders of Turkish Republic. It is our oldest and the largest university library which has succeeded in adding centuries worth of languages and articles to its collection. 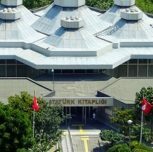 Following the establishment of the Government of Turkish Grand National Assembly (23 April 1920) and the declaration of the Turkish Republic in 29 October 1923, the library began to be called the Central Library of Istanbul University in 1933. It had previously been called Darulfunun Library. 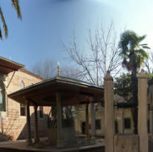 Its first administrator was Hasan Fehmi Ethem Karatay, who was an architect and earned his postgraduate education overseas in librarianship. 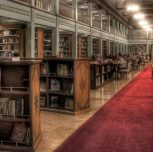 With the Higher Education Law 2547 enacted in 1982, it began operating under the name “Library and Documentation Administration,” along with other libraries of faculty, department, institute and research centers. In comparison to other university libraries, the automation process came rather late and slowly. Yet, the services it provides to national and international users in its new and old buildings are large in number and of very high quality. Technologies of the recent seven years outweigh this modernization process. The catalog system established earlier is still in use.